Many people are wondering if SEO, search engine optimization, still matters. As someone who's been focused on SEO for a long time, I can definitely say it's essential for success. However, the process of optimizing your website and the process for doing so has radically changed. Back in the day you could trick search engines into believing that your website had more authority than your competitors. Authority is essentially Google's way of assessing a point value to indicate site popularity. Google has become much more sophisticated and trying to put one over on them is a waste of time. One of the most fundamental changes in search engine optimization is local optimization. Thanks to the proliferation of mobile devices, most searches using search engines have some type of local intent. This type of search query has changed the Google algorithm and ranking factors. Even if you are a national business, you must think locally and optimize for local search. The second area that have evolved over the last few years is content. 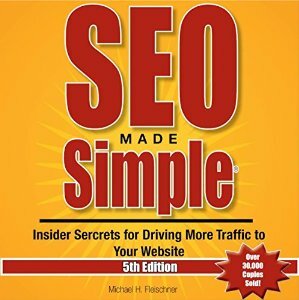 As I talk about in SEO Made Simple (audio version), content is the driving force behind site authority and valuation. The more engaging content you produce, the more users will stay on your site, interact with, and share your web pages. This had a dramatic and lasting impact on search engine results. When people ask me for my optimization advice, I always point to the two items above, local optimization and content creation. When these two factors are at the heart of your optimization strategy, you can influence search engine rankings. What about those old SEO tactics? If you're still getting emails from India promotion number one Google rankings, there's probably a bunch of outdated tactics behind it. The best case scenario is that you don't get penalized when these companies start posting links to your website all across the internet. The worst case scenario is that Google catches on (and they will), banning your site. I've found that websites who have received a Google penalty rarely, if ever, fully recover. Is it worth the risk? No, definitely not. My recommendation is always to learn SEO best practices and either implement them on your own or simply hire a reputable firm to implement specific tactics like blogging, digital assets, etc. under your supervision. To be successful with search engine optimization, you need to take a fresh approach. Focus on how to build quality information online that others want to interact with. When you do, you'll naturally attract links to your website or blog and improved organic rankings will follow.